I’ve always believed narrative poetry is perhaps the most difficult to write. Maybe it is just difficult for me to write. It should tell a relatable story. The narrative is a simple subject with a meager plot. The surface remains effortless. The hidden event, however, must more substantive. It should touch nerves far deeper than the story line. It requires that both the writer and the reader become cognizant of other profound levels. There is a need to delve into thought. The mind’s plow should drag upon earth’s hidden trenches of stone and of rich loom. The sharp instrument should carve within to expose some circular, formerly indigent belief, thought, or dream. It should guide us to our own wisdom, making us finer, and more engaged in life – and living life with one another. If “Ranger’s Cough” discloses any part of us – the collective humanity of us, I have not failed. If I have failed…It’s okay. It certainly hasn’t been the first time, and It won’t be the last time. Limping on a swollen paw, with torn pad, was beneath his dignity. He’d hobble before when vicious fights nearly incapacitated him. Years ago he would lick his wounds like a pedigreed canine. He was barely aware of oozing blood. Now, each crevice of his foundation required tenderness. Ranger was a scrawny, piebald-colored mongrel who had lived forever. Startled, he paused, gasping for breath. His blurring eyes were matted. He watched the once familiar woman emptying trash in the dumpster. A rattling cough escaped from Ranger’s throat. The young medical resident pivoted to see the bony, old dog. Hey, Ranger, Justine called out. Still tormenting everyone in the neighborhood? Stooped, Ranger backed away, growling as he cautiously retreated. The young woman laughed as she indicted, you’re a miserable old mutt. Walking nearer, the woman inspected the torn, matted fur. Clumps of bloodied matter smeared his haunch. Clotted splatter nearly covered his paw. Droplets of pink spittle strung from his teeth. He wobbled with each breath. The woman suggested, you could use a dose of antibiotics, pal. Her words were hollow of confidence and optimism. She would treat him, and bring him some food. At least we could give you a chance, old fella, she called out. This was the girl, now grown to a woman, who had given him his moniker. At twelve, young Justine had referred to him as the Lone Ranger. He had no pack; he had no friends. Nor did he encourage canine or human companions. Justine recalled how Ranger had never resided at any one place. A neighbor took him in for awhile, thinking Ranger could be a guard dog. Ranger had been tied to a post in the backyard. the poor, mistreated pup some table scraps. When the preteen girl offered Ranger food, the mottled pooch took it. But it was with a menacing glare. After gulping dinner, Ranger barked. Girl Justine had garnered courage enough to untie the rope confining Ranger. With a dangerous, warning whine, then howl, the dog snapped at the youth. As the rope loosened, Ranger’s caustic rage exploded. With a quick retreat through the gate, Ranger fled. The girl was left behind, tears and blood streamed. Now, memories took Justine back to childhood. She looked down at the scar on her right hand. Dozens of stitches, and two surgeries had knitted her shredded flesh. Suspiciously eyeing the woman, old Ranger coughed again while crouching. The hack released a hollowness in his lungs. As he staggered, there was a sound of his deeply ragged panting. Stay, fella. Let me get my bag, Justine instructed. she promised as she hastened back to her parent’s home. The young doctor devised a plan as she retrieved her medic’s case. She would first throw her jacket over Ranger’s head. She would then jab antibiotics into the old dog’s hip. It might give him some relief. She returned several moments later. Justine hoped her other hand wouldn’t be torn apart. he wouldn’t have the strength to harm her. she’d recognized the terrifying emergency room event had changed her life. the girl was determined to become a doctor. Now, glancing around the empty alley, she wondered where Ranger had gone. Justine wadded across a weedy field to Ranger’s favorite hiding place. She stopped momentarily, summoning youth’s bravery. Then she entered the leaning henhouse. Inhaling the stuffy stench inside a dusty, rickety hen-coop, she blinked rapidly. The young medic’s eyes flooded. Ranger had folded himself into a tight, motionless circle. Death’s mask had converted his muzzle to the smile of a benign puppy. Please check out some of my other poetry in a collection called Wet Violets, Sappho’s Corner Poetry Series, Volume 2 edited by Beth Mitchum. Books are available through http://ultravioletlove.com and Amazon. For an excellent poetical experience, please don’t miss the link of Meli’s Musings: https://www.facebook.com/melismusings. Acquaint yourself with a true poet’s heart. 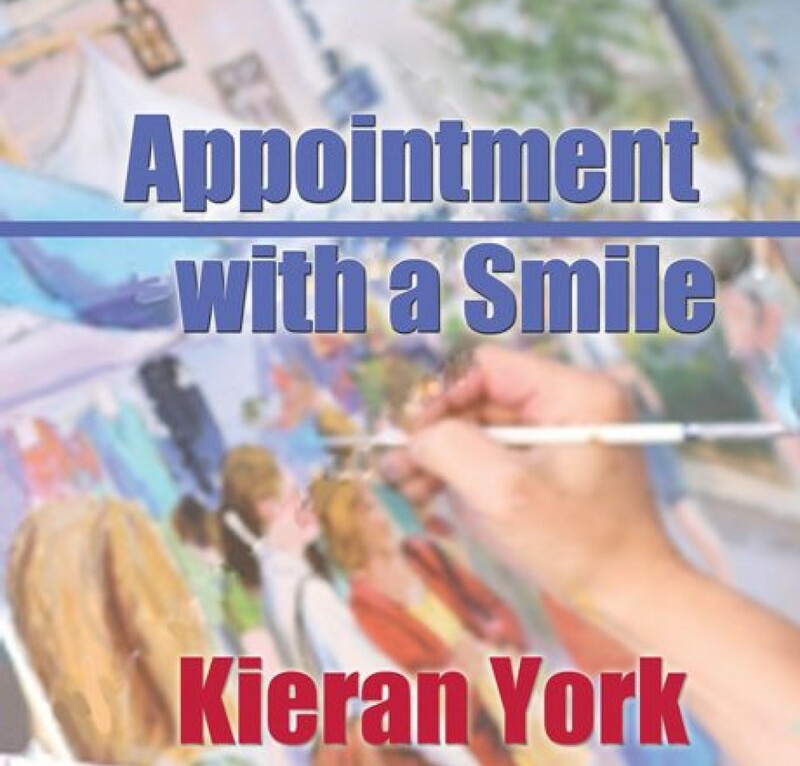 In you’re interested in romantic fiction, please check out Appointment with a Smile by Kieran York. Books are available through www.bluefeatherbooks.com. Or order through Bella Books distribution for books or e-books. Books and Kindle e-books are also available through Amazon. This entry was posted in Uncategorized and tagged human kindness, Kieran York, lesbian blog, lesbian fiction, lesfic, library, literature, mature lesbians, mature sapphics, poetry, Posted in love by Kieran York. Bookmark the Permalink Kieran York. Tagged freinds, writing by Kieran York. Bookmark the permalink. Kieran, you have turned over yet another fertile row, with plow slicing into an intense field of experience. This is just wonderful. Sheila, thank you for your poetical message. As always, I enjoy your words. Hugs all around, my friend. I agree, narrative poetry tends to be rough. But, wowza, you did it. I LOVE this piece. great job. I thank you, Sarah. It means a great deal to me that you love my work. I appreciate your kind words.